Oil and grease, especially cooking oil or motor oil, can be quite tough and tricky to remove from items like rugs and carpets. However, the good thing is that there are a number of simple but effective rug cleaning ideas for removing tough oil and grease from rugs. 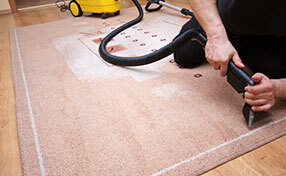 Let’s take a brief look at some of the most potent residential carpet cleaning methods to consider. 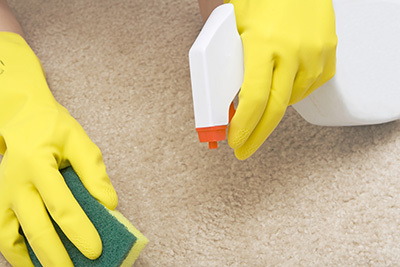 To effectively perform rug and sofa cleaning, you will need the following items – paper towel or cloth, spray bottle, vacuum cleaner, a heavy object like a book, ammonia, cold water, liquid soap and dry cleaning solvent. The first house carpet cleaning step would be to spray the oil or grease stain with the right cleaning solution for the rugs. Blot the area using a clean cloth until most of the stain is removed. Repeat the process until no stain can be seen. If the stain is still there, blot the area with the mixture of ammonia and cold water. Cover the oil or grease stain with a stack of paper towels, and place a heavy book or cover on top of it. Allow the book or heavy item to stay on top of the paper towels overnight. This allows the towels to absorb as much remaining oil or grease as possible. Allow the area to fully dry too, and then run it over with a vacuum cleaner to ensure that the rug’s fibers return to their normal texture. According to Carpet Cleaning San Rafael specialists, you should only use cold water and not alcohol, because alcohol can soak into the rug’s backing, and it could also destroy the bond which holds the rug’s fibers together. 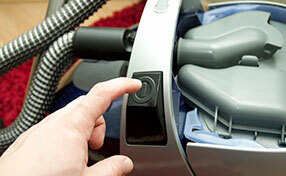 Also make sure not to use plain laundry or dishwasher detergents because these could damage the item’s fibers.